He was able to schedule me very soon for a procedure that normally would have taken longer. The appointment from startto finish went very smooth. He was able to schedule me very soon for a procedure that normally would have taken longer. The appointment from start to finish went very smooth. The front desk staff were nice and the MA was great! The dr was terrible! He was the second dr I'vegone to for my symptoms and told him what tests I've already had and he said "then why are you here?" He was rushing even though he had no one else waiting. He gave me a prescription and had it called into the pharmacy, but never tald me what it was for and then told me to come back in two months...I'll be going elsewhere in two months! The front desk staff were nice and the MA was great! The dr was terrible! He was the second dr I've gone to for my symptoms and told him what testsI've already had and he said "then why are you here?" He was rushing even though he had no one else waiting. He gave me a prescription and had it called into the pharmacy, but never tald me what it was for and then told me to come back in two months...I'll be going elsewhere in two months! 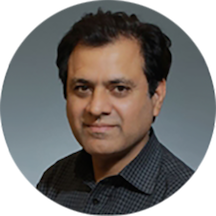 Mehdi Baluch is a diligent and dedicated gastroenterologist caring for the Lapeer, MI community. Dr. Baluch attended New York University, where he earned his degree in medicine, and completed his residency at the University of Minnesota Hospitals and Clinics. He continued his training by completing a fellowship in gastroenterology and advanced endoscopy at Loyola University Medical Center and the University of California, Los Angeles respectively. Dr. Baluch is a part of McLaren Lapeer Region Community Medical Center. He is board certified in gastroenterology by the American Board of Internal Medicine. Dr. Baluch is deeply committed to the well-being of his patients. He takes a thorough and precise approach to his consultations to ensure that he is consistently giving accurate diagnoses. Such a great Dr!! One of the best for sure! !